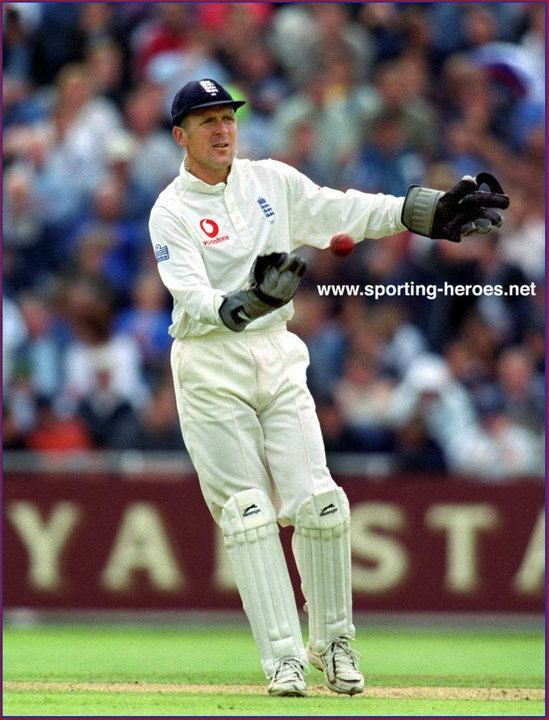 Alec James Stewart OBE (born 8 April 1963) is a former English cricketer, and former captain of the England cricket team, who played Tests and ODIs as a right-handed wicketkeeper-batsman. He is the second most capped English cricketer of all time in Test matches and 3rd most capped in One Day Internationals (ODIs), having played in 133 Tests and 170 ODIs. The younger son of former English Test cricketer Micky Stewart, Stewart was educated at Tiffin School in Kingston upon Thames. He made his debut for Surrey in 1981, earning a reputation as an aggressive opening batsman and occasional wicketkeeper. Stewart is a well-known supporter of Surrey County Cricket Club and Chelsea F.C. When shirt numbers were introduced for One Day International cricket, Stewart chose the number 4 shirt in honour of his favourite Chelsea player when growing up, John Hollins, and kept that shirt number throughout his career. 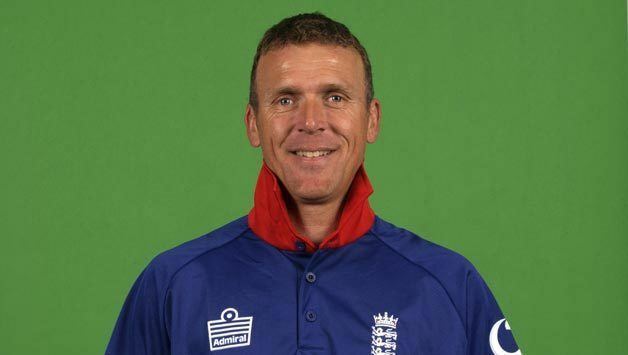 He made his England debut in the first Test of the 1989/90 tour of the West Indies, along with Nasser Hussain, who would eventually replace him as England captain. At the start of his career, Stewart was a specialist opening batsman for England, with wicketkeeping duties being retained by Jack Russell, who was generally recognised as the superior gloveman and who batted down the order. However, Russell, the inferior batsman, would often be dropped to improve the balance of the side (i.e. to accommodate an extra bowler or batsman), in which case Stewart would don the gloves. 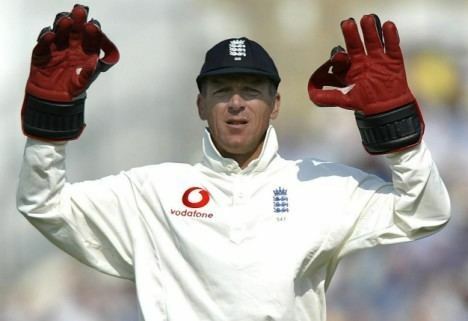 After enduring years of selection and deselection, Russell retired from international cricket in 1998, leaving Stewart unrivalled as England's keeper-batsman until his own retirement in 2003. His highest Test score, 190, was against Pakistan in the drawn first Edgbaston Test on 4 June 1992; it was his fourth century in five Tests. In 1994 at the Kensington Oval he became only the seventh Englishman to score centuries in both innings of a Test match, scoring 118 and 143 as the West Indies were beaten at their Bridgetown "fortress" for the first time since 1935. Stewart's batting average (39.54) is the lowest of any player to have scored 8000 or more runs in Test cricket: he is the only player to have scored over 8000 runs despite an average of under 40. However, when played as a specialist batsman in Test cricket, Stewart averaged 46.90 in 51 games with 9 centuries. Since World War II, only Len Hutton, Geoff Boycott, Dennis Amiss and Alastair Cook have bettered Stewart's average of 46 as a specialist opening batsman for England. As wicketkeeper-batsman he averaged 34.92 from 82 tests, higher than many of his contemporaries and many of the current batch of international wicketkeepers. He was unlucky enough to be on the losing side in a record 54 Test Matches. Stewart was groomed for the England captaincy under Graham Gooch, deputising for him in four tests in India and Sri Lanka in 1993, but when Gooch retired from the captaincy later that year Mike Atherton was chosen to succeed him. Always more of an establishment figure than any sort of rebel, it was no surprise when Stewart was asked to captain England in 1998 when Mike Atherton resigned. Despite being the age of 35 at the time, Stewart's level of fitness was impeccable, especially bearing in mind that most players do not continue beyond 37. As it was Stewart went on to play for England beyond his 40th birthday – but as events were to transpire – his captaincy of England barely lasted 12 months. In his first series as captain, against South Africa, Stewart scored an outstanding 164 in the third Test at Old Trafford to salvage a draw, a result which eventually enabled England to overturn a 1–0 deficit to win the series 2–1. Nonetheless, failures against Australia and in the 1999 cricket World Cup saw him sacked from the captaincy to be replaced by Hussain. During his captaincy, he had the unusual distinction of simultaneously captaining the side, opening the batting and keeping wicket. He continued to deputise occasionally as captain of England's one-day side, and became the second international captain to concede a match in 2001, after a pitch invasion during a One Day International against Pakistan rendered the continuation of play impossible. He continued as an England player for five more seasons, and became only the fourth player to score a century in his 100th Test, scoring 105 against the West Indies at Old Trafford in 2000. He also set a record for playing most number of ODI matches as captain who has kept the wicket as well as went onto open the batting with 28 times in his career. In 2004, Stewart became a founding director of Arundel Promotions with specific responsibility for player management and representation. Cricket playing clients include Paul Collingwood, Ian Bell, Ashley Giles and Matt Prior. 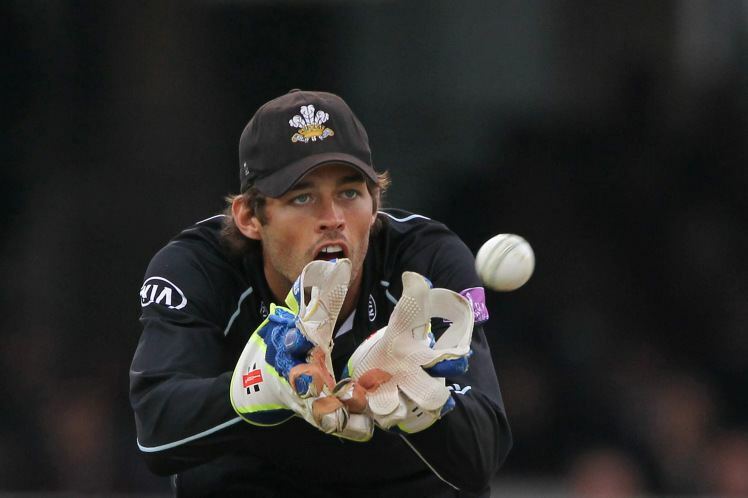 In 2009, Stewart rejoined Surrey as a part-time consultant to the coaching staff specialising in batting, wicket keeping and mentoring. Since retiring from playing Stewart has taken on the role as the Club Ambassador for Surrey CCC and was made an executive director in 2011. On 17 June 2013, it was announced by Surrey County Cricket Club that Stewart would take charge of first team affairs following the sacking of Chris Adams, until a long term successor is found. In October 2013 the club announced that Graham Ford would become head coach in February 2014, with Stewart becoming Director of Cricket, a new position.